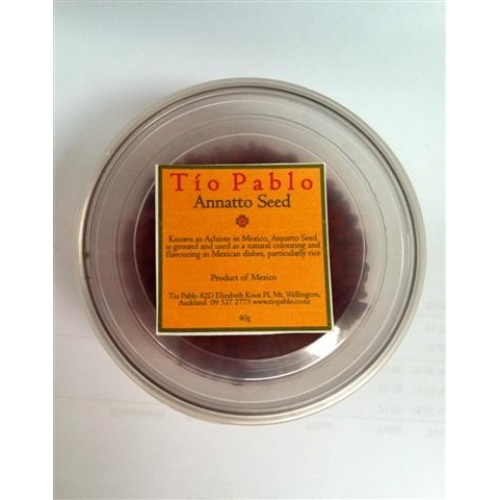 Home > Mexican > Mexican Annatto Seeds. 40gm. A natural colouring and flavouring for Mexican Rice and other Mexican dishes. 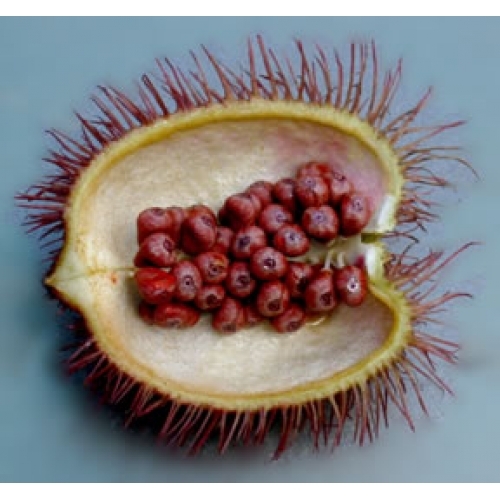 Annatto, sometimes called roucou or achiote, is a derivative of the achiote trees of tropical regions of the Americas, used to produce a yellow to orange food coloring and also as a flavoring. Its scent is described as "slightly peppery with a hint of nutmeg" and flavor as "slightly nutty, sweet and peppery".